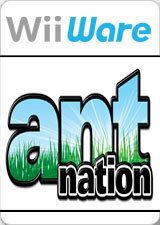 Can YOU build the toughest Ant Nation? The beloved childhood pastime of lazy Sundays spent with a magnifying glass and an ant farm finally arrives in its most mischievous form via the WiiWare service! You must train your colony of Super Ants using a devilishly fun toolset. Zap, torch, and manipulate your ants to make them numerous enough and tough enough to survive a variety of increasingly difficult challenges! The graph below charts the compatibility with Ant Nation since Dolphin's 2.0 release, listing revisions only where a compatibility change occurred. This page was last edited on 1 April 2017, at 10:09.